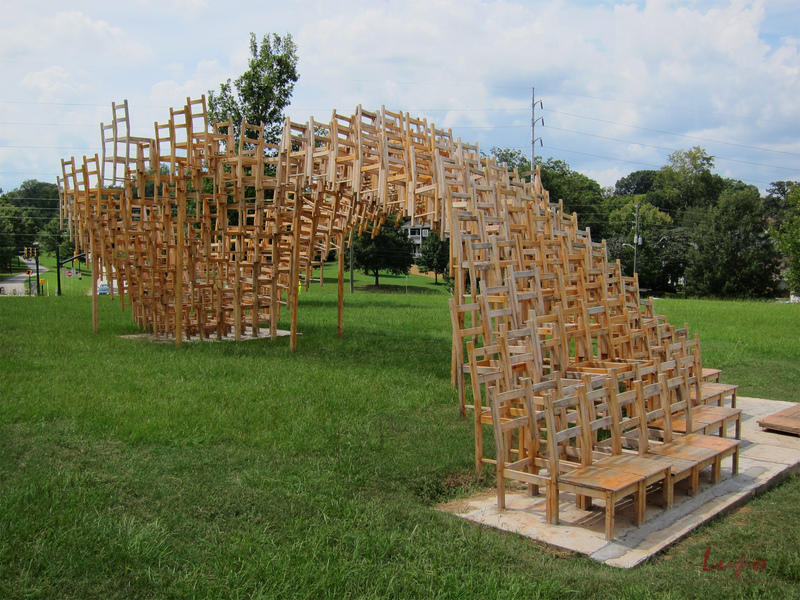 This is an incredible piece of sculpture I discovered one afternoon while walking through Freedom Park in Atlanta, GA, in September, 2012. 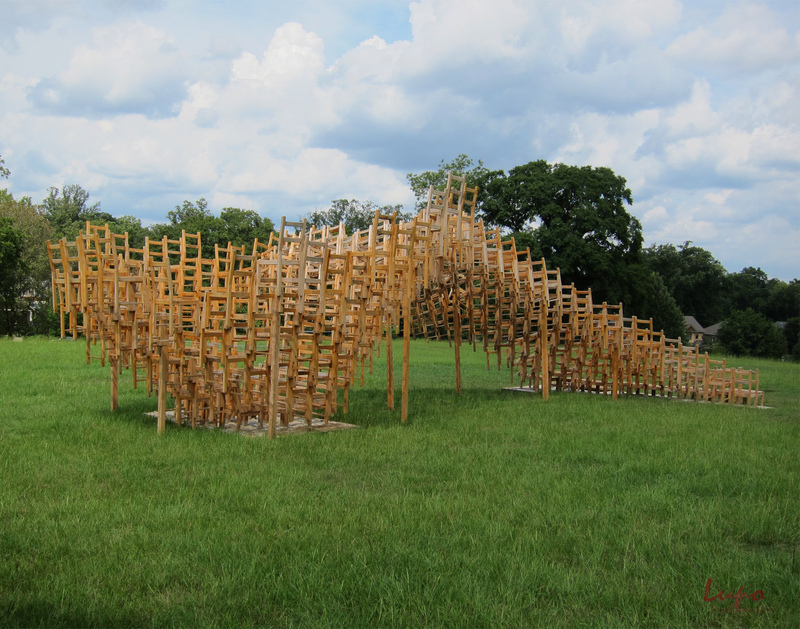 It’s created using numerous chairs linked together. The inscription at the base identified it as SEAT. 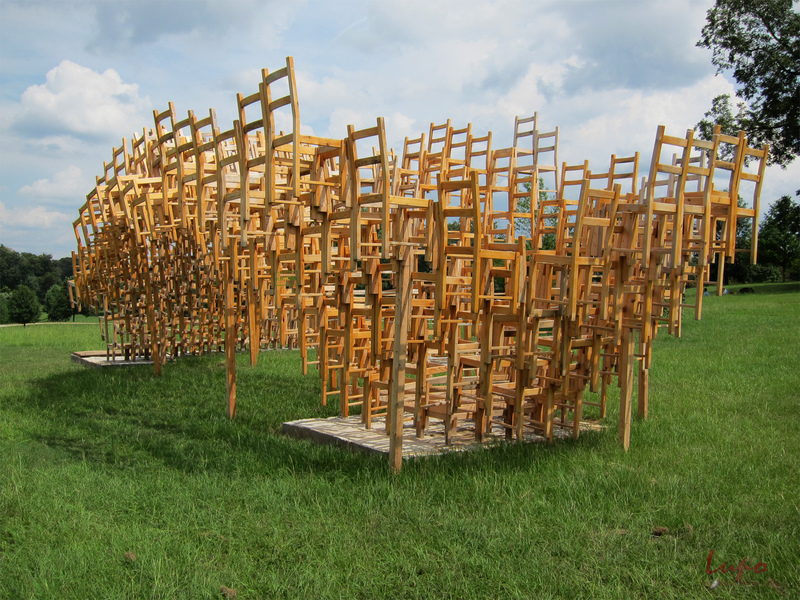 Chairs are remarkable pieces of furniture. When you think about the loads they are required to carry in order to support people of all sizes and dimensions, you realize just how strong they actually are. 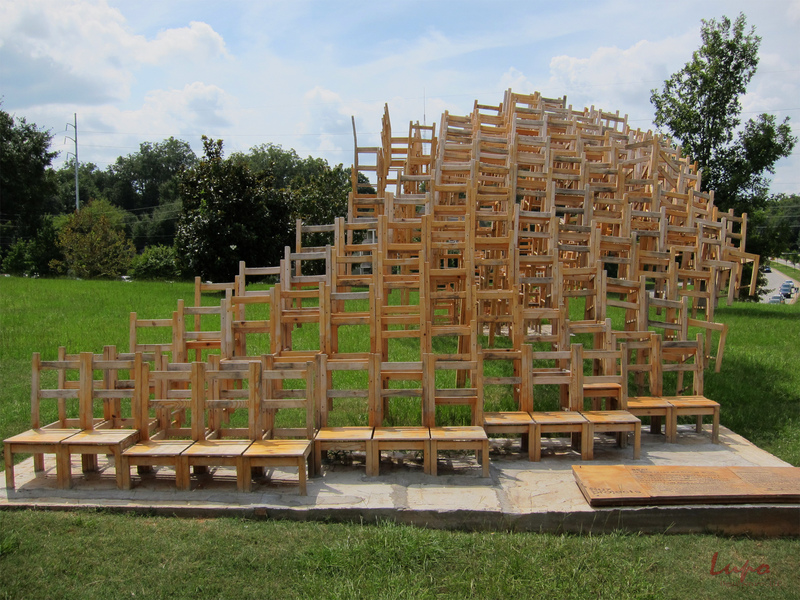 We do not think of chairs as structural components; we just think of them as chairs. Their domestic identity overwhelms almost any other interpretation of their use. 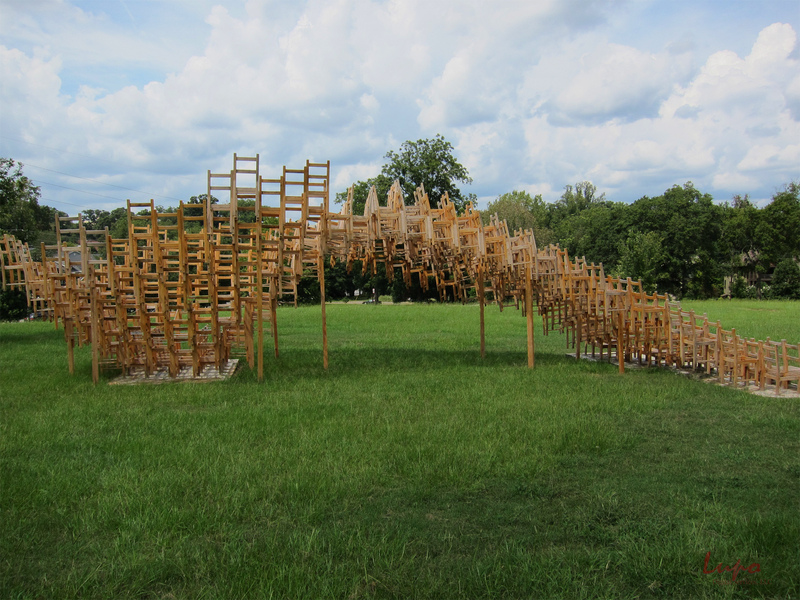 SEAT turns that identity inside out, transforming 400 Ikea Ivar chairs into a whimsical composition of structural sculpture. Additional support provided by the City of Atlanta Office of Cultural Affairs and Turner Voices. Special thanks to the Freedom Park Conservancy, the City of Atlanta Office of Parks, Recreation & Cultural Affairs, Concrete Ideas LLC, and the Montana State University School of Architecture.